The New Museum Los Gatos (NUMU) opened this past June with the mission to bring fresh perspectives on Bay Area history, art and innovation through interesting exhibits, programs and experiences. I spent the afternoon there to find out about upcoming events and also to learn more about the Variety of Robotic Creations class with Learn to Discover designed for children ages 7 and up. The class taught by Elizabeth Greer was so entertaining that you could easily participate with your kids, if they are into this kind of stuff. It’s not that hard to teach children about technology and programming. Here is what I learned on class: you will spend some time selecting small pieces that look quite similar. 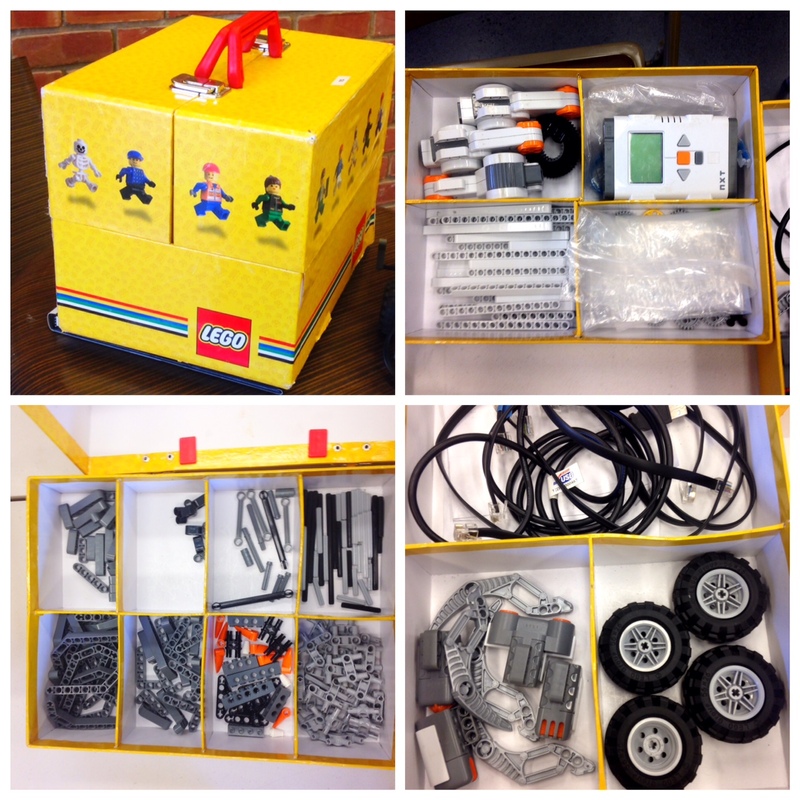 The Lego kit comes with a set of motors (A,B, C) and sensors (motion, sound, etc.) and different Lego pieces that will allow you to assemble different robot models that will have a computer as a base. Finished model on the right. 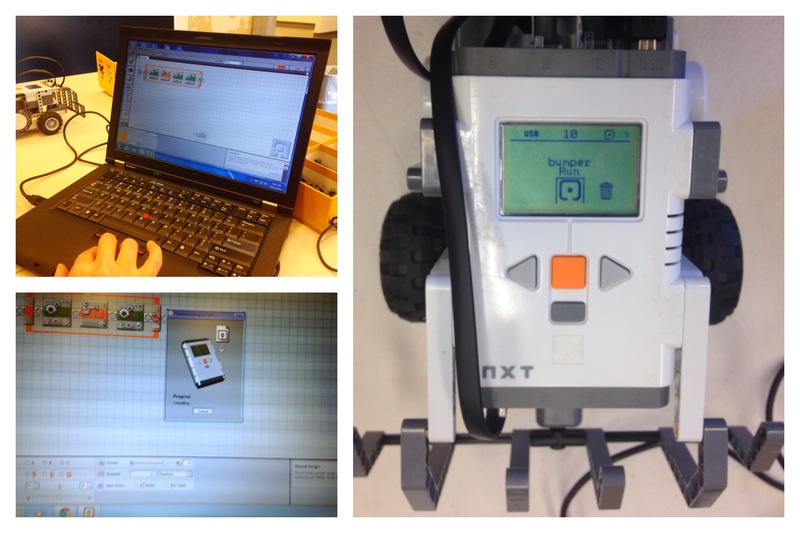 Once your model is assembled all you need to create the program with instructions for your robot is to connect it via USB cable to a laptop provided in class, choose a name for your program, and add the instructions. The software called Mastermind NXT will compile or process your instructions and, it will transfer them to your robot. The name I gave to the program for my robot was Bumper. Programming in essence is giving instructions in a logical way. I started programming when I was twelve, and the fun part was always to try to finish with what was on the whiteboard in order to make more modifications to my programs and to try different things. 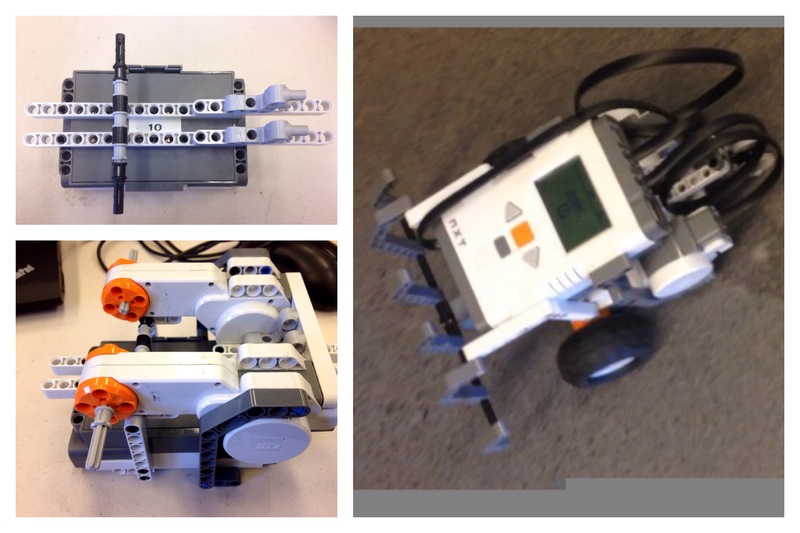 This was though my first time programming a robot with a very friendly software, drag and drop style. When bumper sensor gets activated rotate. I gave to much rotation to one of the wheels making my robot rotate twice without changing direction. I kind of liked the spinning though. You could easily spend $500+ on a kit like this; but for $25 drop-in cost you can enjoy this hands on experience available through Nov. 19th from 3:30pm to 4:30pm. You can sign up here for the Halloween-inspired Spider robot class. Rick Guidice: The NASA Paintings; an amazing display of artwork created to visually communicate the possibilities of building space colonies −available through February 14. It Takes A Village: A Trip Back In Time to Santa’s Village, Frontier Village and Lost World to feed your amusement park nostalgia with cowboys, elves and dinosaurs (Open from November 7 through April 3rd 2016). Billy Jones and the Wildcat Railroad: Making Tracks from the South Bay to Disneyland where you can find out about the connection between Walt Disney and the town of Los Gatos, from November 7th to July 26th, 2016. However; if you are looking for other sources on programming or coding for children, check Code.org a website with fun tutorials that may/may not require the use of a computer. How cool is that! If your are digging this content, please let us know in the comments below and also if this is something you/ your kids would like to try or have tried. Did you like this? Subscribe to our list for more posts like this.